1. If you are not registered yet, make your web registration here. 3. Select "Cell Phone" for model name. 4. Install Location Tracker from Google App Store. 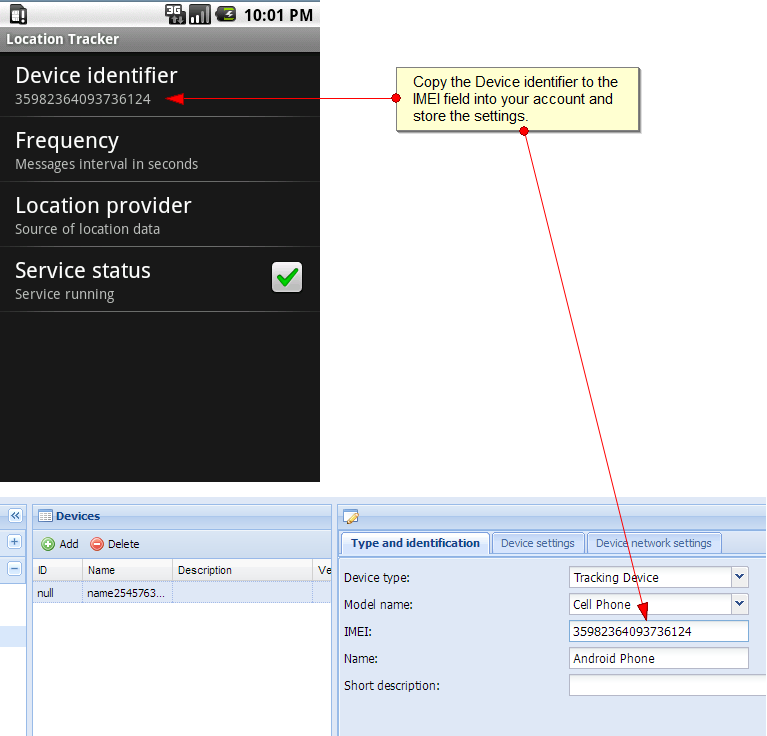 Start the application and copy the "Device Identifier" number to the IMEI field in your device settings in your geotrack24.com account. After some minutes you will see your first positions on the map. 5. Click on Terminals to see devices last positions or click on Positions/Work Time to see the device trace for defined period. Click here to see detailed application user manual.